Hinduism is the oldest living religion in the world, and is based on ancient texts known as the Vedas, as well as prehistoric animist religions which existed in the Mohenjo Daro civilization. Indian people commonly refer to Hinduism by the more traditional phrase Eternal Religion (sanatana dharma) and the religion is as wonderfully complex as it is colorful. To call Hinduism “a religion” is actually too narrow a definition, as it encompasses a wide variety of religious beliefs. It is far and away the most diverse and most accepting of all religions, as new Hindu gods and goddesses are being added to it all the time, and new beliefs are often incorporated into the mainstream. What one person may believe will be very different from what their neighbor. For example, some Hindus may believe in a Universal God, while some might not. Some may worship idols and deities, while others might not. Some Hindus might believe in an eternal afterlife, such as a heaven or paradise, while others don’t. Some are atheists. The reason Hinduism does not refer to any one particular religious dogma is because it was first used as a cultural term in literature during the Nineteenth Century, as well as used by administrators of the British Indian administration, which tried its best to create a universal description for the myriad religious beliefs of the Subcontinent. While there is no singular religious belief that must be followed by all Hindus, there are key beliefs about the nature of the universe that MOST Hindus hold true. For example, each individual is to have a defined role in the world, known as their dharma. Often mistaken as “fate” in the West, a person’s dharma is what is expected of them in their famiial, religious, and social life to help maintain order in the universe. Each individual’s dharma is determined largely by their birth status, known as a caste in the West. So while the role that each individual should play is predetermined, how they play out that role is up to the individual. It is something like an individual-based moral code for promoting righteousness in the world. Another common belief is the law of cause and effect known as karma. This is the concept that the merits of actions in previous lives will bear fruit in our current lives. So in essence, what your dharma is in this lifetime is determined by what your karma was from a previous lifetime. Another common belief is that of an endless cycle of births, known as samsara, and that through righteous living, one can be liberated from this cycle of birth and death. That liberation is known as moksha. This presupposes the existence of an indestructible soul (atman) which is reborn into different bodies, both human and animal, depending on their karma. There is also the concept of Brahman (not to be confused with the God Brahma), which in itself is open to debate. While the Vedas described Brahman as the power of ritual, the concept was later defined in the Upanishads (composed between 800 and 300 BCE), as the essence of the universe. Modern Hinduism is primarily focused on the relationship between the soul (atman), and the universal absolute (Brahman), while the sacrifices and rituals of the Vedas are of significantly less importance. While Hinduism is said by some scholars to have 330 million gods (roughly one unique god per every three believers), those Hindus that believe in deities – and not all Hindus do – consider themselves monotheists. In essence, they worship a single anthropomorphic personal chosen deity, known as an ishtadevata. Others may choose to worship a couple, such as Vishnu and Lakshmi, a trio (Brahma, Vishnu, and Shiva), or a quintet, such as Vishnu, Shiva, Ganesha, Surya and Devi. It is common to hear religious scholars, gurus and laypeople alike say that God has many names and forms. One might also hear the phrase One truth, many paths. Hence, most Hindus do not feel he need to convert others to their own chosen belief, since a follower of Vishnu would consider that a follower of the Goddess Kali are both praying to the same Universal God, only in different forms, which are appropriate for that person’s dharma. In general, Hindus will have a chosen deity that is one form of either Vishnu or Shiva – or in the lineage of those two gods – or will have a chosen deity who is a form of the female Goddess Devi. Those who follow Vishnu may have a chosen deity of Lord Krishna, who is an Avatar (a human form of a god – Vishnu is said to have 10 Avatars). Krishna is celebrated in numerous stories, the most widely known being theBhaghavad Gita. Others may follow Shiva, who may take on the role as the Lord of Ascetics, or as the Nataraja Lord of Dance, or as a Divine Family Leader. Shiva may be worshiped in an alternative form, such as Rudra the Howler, who appears in the Vedas. Alternatively, a deity in the lineage of offspring might be worshiped, such as the elephant-headed God Ganesh. The great female god of Hinduism is known as Uma Devi, and she has three main forms, namely the Goddesses Saraswati, Lakshmi, and Parvati. These three female deities are consorts of the male Gods Brahma, Vishnu, and Shiva, respectively. While the Goddess Parvati is as calm tempered as she is beautiful, she has very fearsome forms as well, namely the Goddesses Durga and Kali, whom the male gods called upon to help vanquish demons who had been terrorizing the earth. Hinduism does not have a singular authoritative text the way that Islam has the Koran or that Christianity has the New Testament. While there are four major ancient texts that were revealed by the God Brahma, known as the Vedas, the text in those books is quite distant from modern Hinduism. 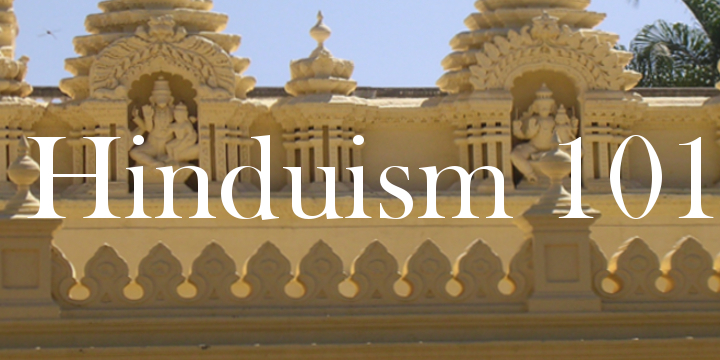 Later religious texts have provided much of the philosphical basis for modern Hinduism. Meaning “knowledge” or “wisdom,” the Veds tell stories of ancient gods and goddesses that most Hindus would not recognize today, and they prescribe methods of sacrifice which are performed only by a very small group of people, and even then maybe only on special occasions. They only just barely touch upon the concept of a soul and the possibility of an afterlife. While the Vedas are still considered the ultimate authority, the texts that were composed thousands of years later, such as the Puranas and the Upanishads have a more direct relationship with the religious beliefs of modern Hindus. The Vedas overwhelmingly concern the importance of sacrifice and religious rituals, as well as sing the praises of the Gods. They deal less with man’s role in the world. The Brahmanas are a development upon the Vedas, as they contain commentaries and explanations on the rituals found in the Rig Veda. But the Brahmanas also delve into many topics not covered in the Vedas, and are some of the first writing on Gnostic Hinduism. They also lay the ground work for renunciation (abandoning the material world), which is then developed further in the Upanishads. The Brahmanas are written in prose. The word Upanishad means “sit down near,” which possibly denotes the oral tradition of religious stories being told to a close circle of followers, or an individual learning at the feet of the master. Also referred to as Vedanta, meaning, The End of The Vedas, as they are thought to give a philosophical interpretation to the Vedas. The main focus of the Upanishads is to help explain the relationship between soul (atman) and God (Brahman), through parables. The Upanishads seem to have opened the door for more religious literacy and greater diversity of religious thought. Most of the Upanishads were composed around the time that Buddhism began to flourish in India, and one can see they influenced one another. 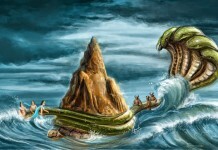 The Song Of God is a section of the epic Mahabharata, probably composed at a different time and inserted later, that has become one of the most influential works in Hinduism. It tells the story of how Lord Krishna was the chariot driver for the mighty warrior Arjuna, who, before entering battle, began to feel remorse for the enemies he would slay the following day. Lord Krishna seizes upon this opportunity to teach Arjuna about the nature of the indestructible soul (atman) and its relationship to the Universal Soul (Brahman). 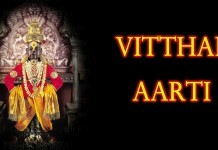 Krishna also elaborates on the role of devotion, known as Bhakti, to a deity. Composed much later than the Upanishads, the Puranas are written in verse and provide a “historical” story of the Gods and Goddesses, as well as telling the characteristics of those deities, and spell out the pilgrimages for devotees. The Puranas cover a wide variety of topics, including some science and secular topics, along with the history of mankind and royal dynasties.